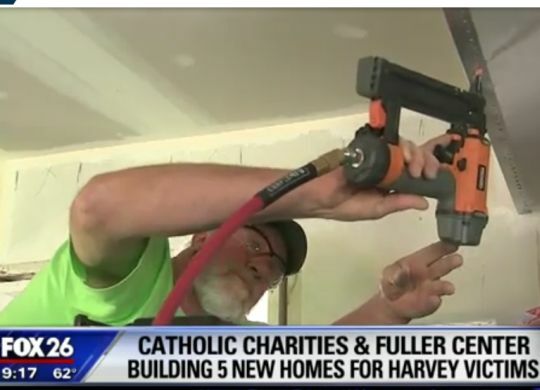 Catholic Charities of Galveston-Houston is contributing $500,000 to the Fuller Center Disaster ReBuilders to house families and rebuild their homes that were damaged last year by flooding from Hurricane Harvey. Fox-26 television reports on the deal in the video below and notes that the Disaster ReBuilders are looking for more local volunteers as they continue their efforts over the next couple of years in the area. If you would like to contribute funds or volunteer hours to the Disaster ReBuilders’ efforts, please click here.